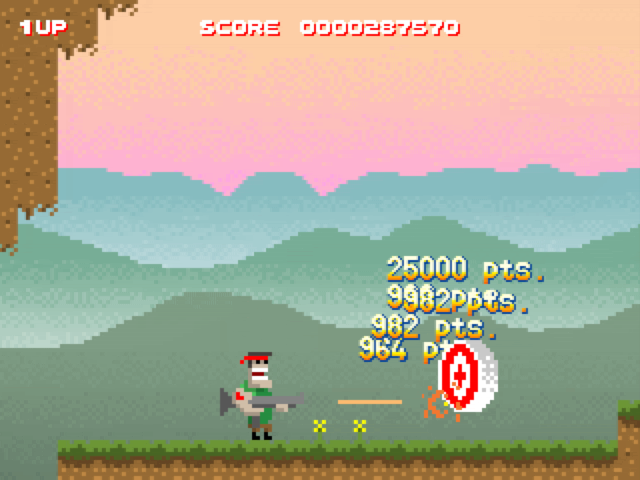 This HTML5 video game was created by zachstronaut. Commander Clone is a mercenary on a mission... a training mission. Jump and shoot your way through this short platform game with a funny ending. Play this game in HTML5-ready browsers like Firefox, Chrome, Safari, and IE9. This game was created with the Akihabara HTML5 video game engine.